vhllib is one of more than 5,000 organizations on LibraryThing. 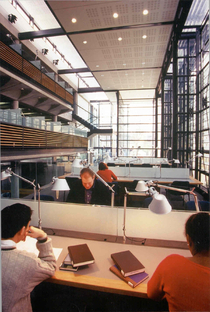 About meThe Vere Harmsworth Library is the research library for US Studies in the University of Oxford. We are using LibraryThing to promote our new acquisitions. About my libraryOur collection focuses predominantly on the history, political, economic and social, of the United States. Our LibraryThing catalogue covers the most recent month's new acquisitions.